After a five-year drought, it's time for Prince Namor, the Sub-Mariner to come ashore with a second spectacular Masterworks offering. 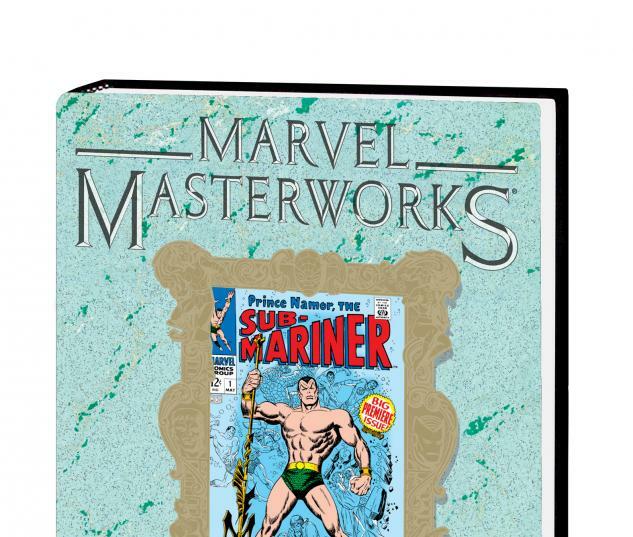 One of Marvel's oldest and most storied characters, the Sub-Mariner protects the undersea kingdom of Atlantis from the threats of the murky deep, and from those pesky pink-skinned land lubbers! 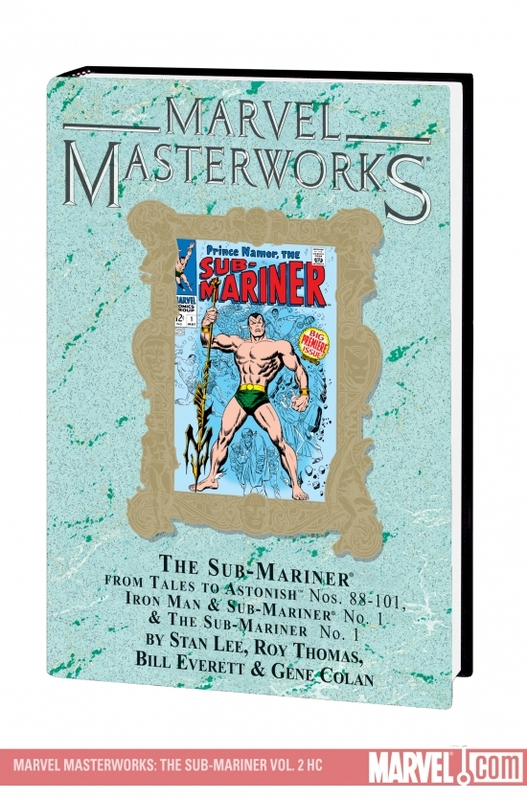 In this volume, you'll be treated to the amazing illustration of Namor's creator, Bill Everett, as he brings his unmatched ability to craft action and adventure in all things aquatic. You'll also be graced by the first scripts of heir apparent to the scripting crown of Atlantis, Roy Thomas, as he builds the foundation for the Sub-Mariner's leap into his very own solo series! With head-to-head battles with the Hulk, guest art by Gene Colan and the first of John Buscema's classic run on the character, you'll need an aqualung not to be drowned out by the majesty of this Masterworks! 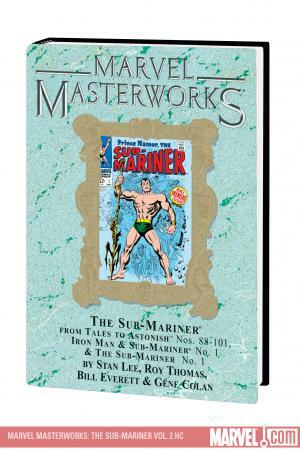 Collecting TALES TO ASTONISH #88-101, IRON MAN & SUB-MARINER #1 and SUB-MARINER #1.